Voters in Bellevue, Carey, Picabo and other parts of southern Blaine County on Tuesday elected Carey resident Shawn Bennion as the new Zone 1 representative on the Blaine County School District board of trustees. In a close race defined largely by hometown support, Bennion defeated Bellevue resident Hallie Kelly Star. Bennion received a total of 268 votes to 203 for Star. Bennion was the overwhelming victor in the Carey precinct, receiving 191 of 202 votes cast there. In the Bellevue precinct, Star had the advantage, garnering 170 votes to Bennion's 47. Bennion won a slight edge in the Gannett-Picabo precinct and among absentee voters. 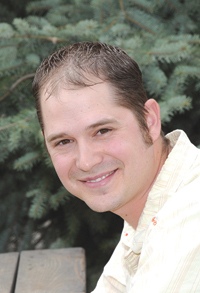 Bennion will replace Trustee Daniel Parke, a Carey resident who did not file to reclaim his seat. Of three seats up for election this year, Zone 1 was the only contested race. Candidates for Zone 3, representing the north Hailey area, and Zone 5, representing the Sun Valley and east Ketchum areas, had already won their seats by default. New trustees will be sworn in at a school board meeting July 12. Trustee Kathryn Graves, who was appointed to the board in 2010, will retain her seat in Zone 3 and Don Nurge will replace board Chair Julie Dahlgren to represent Zone 5. Dahlgren did not file for re-election.